January and February are not the normal months of choice for enjoying al fresco motoring. However, the uncharacteristically warm and sunny days experienced in Germany recently proved perfect for cosy top down cruising and rapid roadster excursions. Most appreciative of the mild weather were those with a potent convertible in the garage who were suddenly unshackled from the notion that it was not going to see action again till spring. 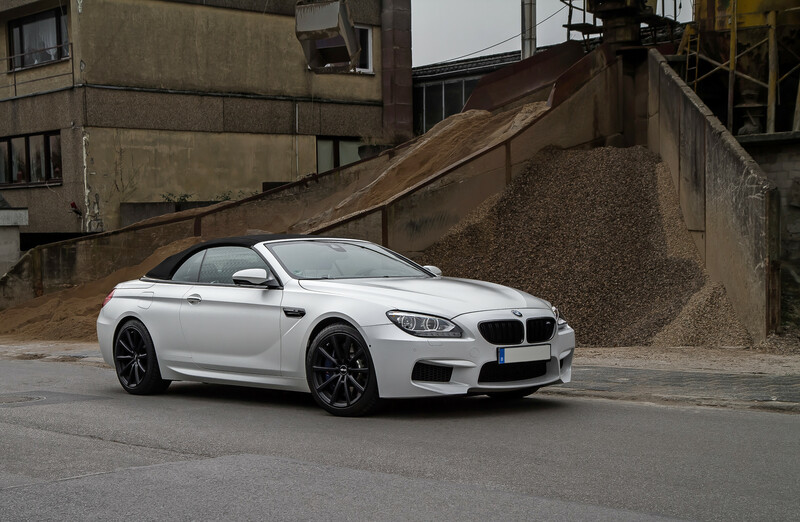 One such machine from BMW performance specialists noelle motors is based on an M6 Cabriolet with Competition package, resplendent in the winter themed BMW Individual shade of "Frozen Brilliant White". 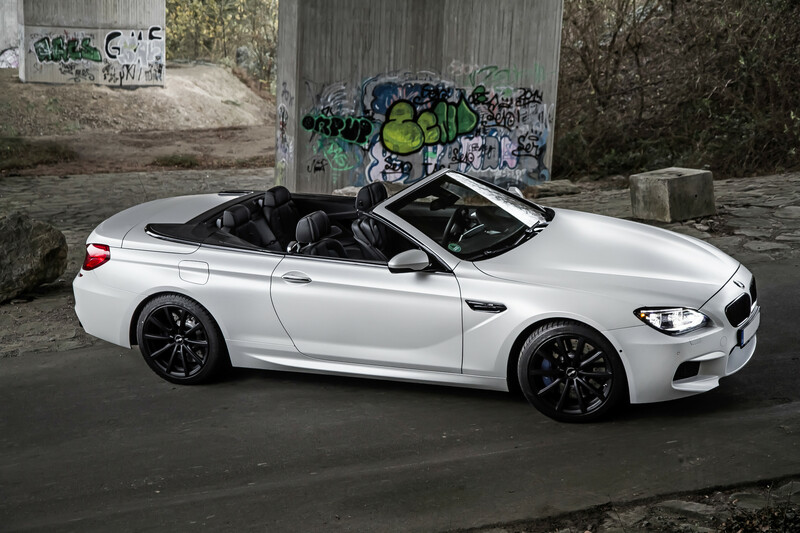 With 575 hp and 680 Nm of torque BMW's 4.4-liter TwinPower Turbo V8 (S63B44tü) is not exactly feeble out of the box. But after the noelle engineers had installed their Stage 3 performance kit, the engine dyno printout reported a brutal 766 hp and 882 Nm. 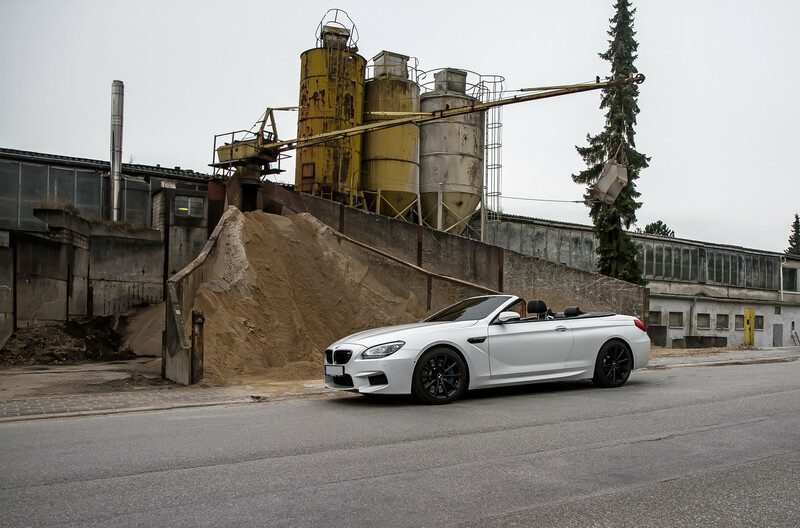 The extra power is liberated by a combination of software optimiziation and exhaust downpipes with free-flow sport metal catalytic converters. The software upgrade includes removal of the Vmax limiter, making 345 km/h attainable. Importantly all the BMW drivetrain and thermal protection protocols remain in place. The extent of the technical information available to noelle motors is a result of close contact with BMW AG, and the wealth of experience of Karl-Otto Noelle, formerly the head of engine development at ALPINA. 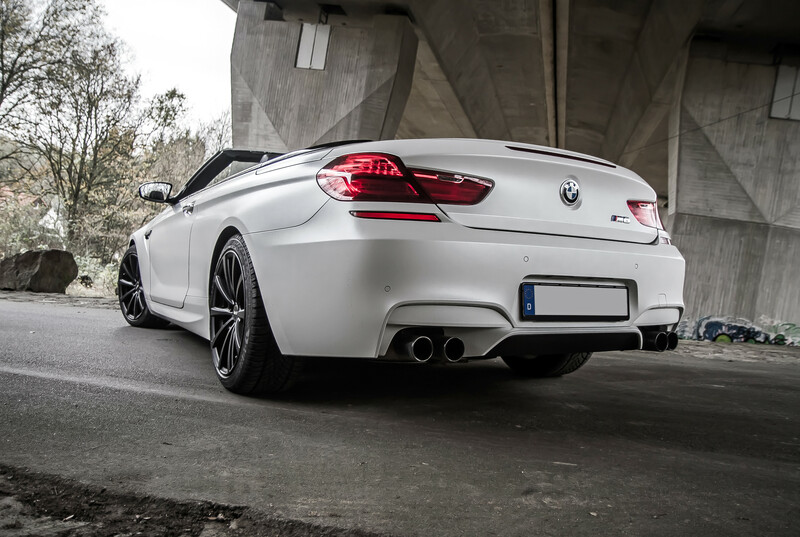 This Stage 3 conversion is not legal in Germany and is therefore for export only, but the Stage 1 and 2 power upgrades that deliver up to 700 hp have can be entered in the vehicle documents. A tuning warranty is optional. Moreover noelle motors optionally offers mufflers and sports exhaust systems made of high-quality stainless steel. 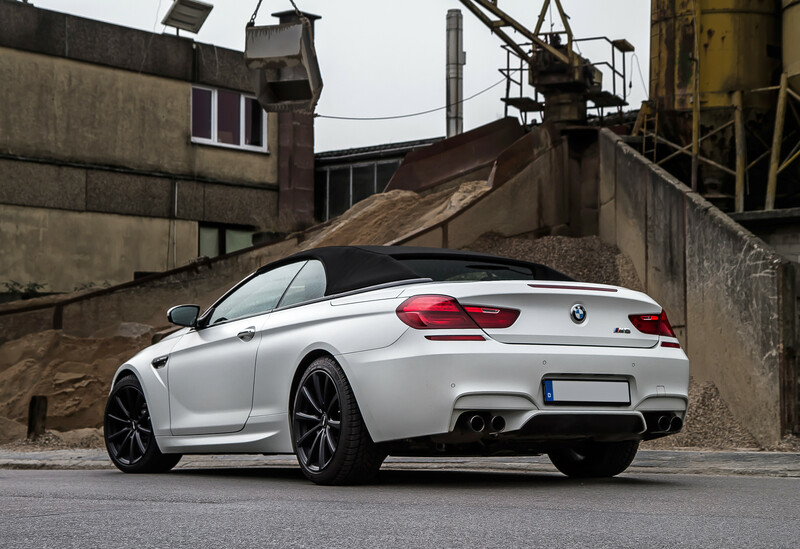 noelle motors also offers a coil-over suspension kit and a variety of alloy wheel/tyre combinations to match the increased performance of the M6 Convertible.